I’m going to be in Knoxville for a week at the end of the month and I was thinking of seeing if I could get a deal on the Sena 20S Evo dual pack. I can get them for £380 over here, so to be a bargain I’m looking at around $400 over there. What’s your recommendation for trusted discount accessory stores that I might be able to get a decent price from? Have you thought of ordering one before you go and getting it shipped to where you are staying? Yep, it won’t be a problem to have them shipped to a colleague, then for me to bring them home in my luggage, just having difficulty finding them at a decent price as most search engines are heavily biased towards the country you are in. Might set my VPN to the USA and see if that changes the search results. $370 shipped inside the US, not sure if that is good or not? Do any of the big US retailers price match eBay sellers? Not that I've seen. Actually, many US retailers openly sell their wares on eBay in addition to their own stores. 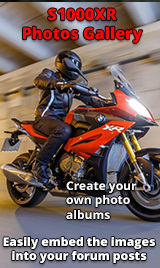 Typically, when pricing motorcycle accessories here, I start my search at RevZilla.com. From there, I've found items somewhat higher, or somewhat lower through other retailers, but the shipping costs vary dramatically from seller to seller, and they all sort of come out the same as RevZilla once considered. I've also purchased several accessories through Amazon with no problems. Use coupons or watch for specials. My best advise for shopping on ebay is sign up for emails on special offers. They have 15-20% coupons fairly often as well as long 0% interest terms with Paypal credit some times, if you want to go that route. Also, skip the 20s, mesh is the way to go moving forward. Two friends split a dual pack they got on ebay for $400-450 in March. Agreed. The 30k update has also just been released and apart from a flashy new body functionality looks identical so you may find 30k’s now coming down in price for runout? I have a 30k and can definitely recommend it. The 20 is excellent as well but why not go mesh if you are going to the expense. Also, there was a major firmware update last night. Now allows multi source audio in Bluetooth from the 10 on up. Now you don't have to manually switch sources to talk or listen to GPS/music. Thanks for the replies. I initially considered the 30K but was put off with the lack of multitask audio in mesh. I only ever ride with one other in conversation so I didn’t need the mesh functionality, but I do want the other rider and GPS together. If that’s now been fixed, the 30K might be on the cards again. So far I’ve only been able to find the 20S evo about £60 cheaper than over here and for that I would rather pay the extra for the piece of mind of having somewhere local to go back to in the case of problems. I’ll keep looking though as I still have a couple of weeks to get them shipped ahead of my trip.